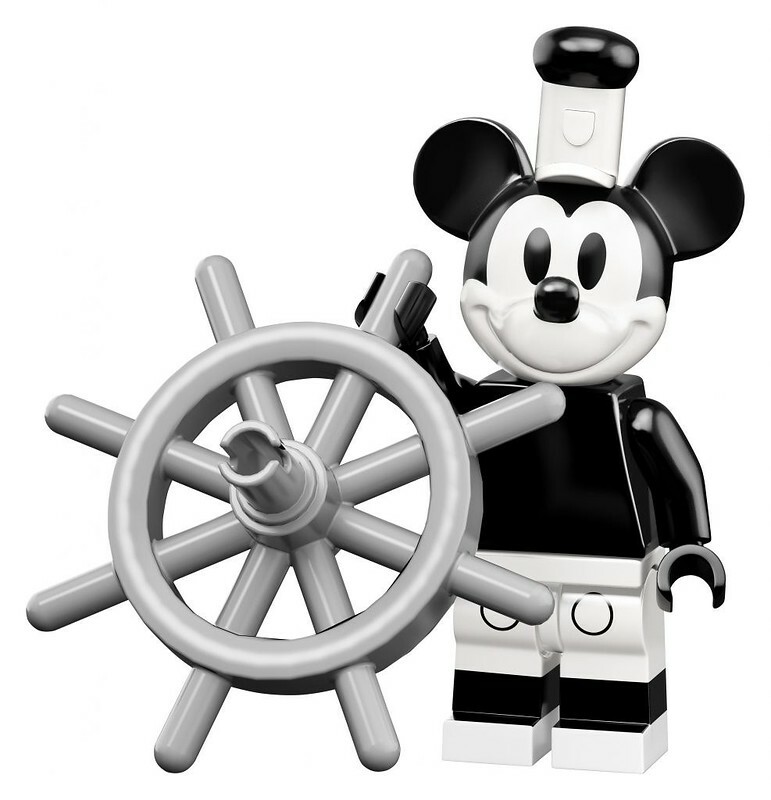 Brickfinder - LEGO Disney Series 2 Minifigures Feel Guide! 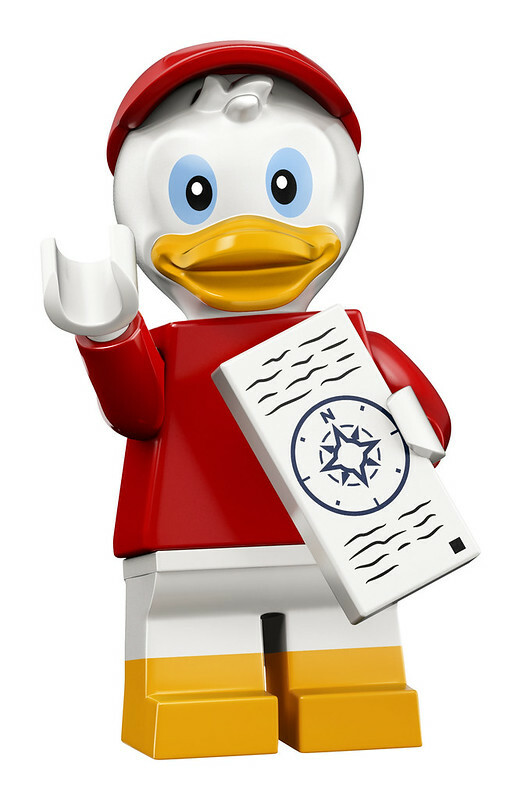 LEGO Disney Series 2 Minifigures Feel Guide! 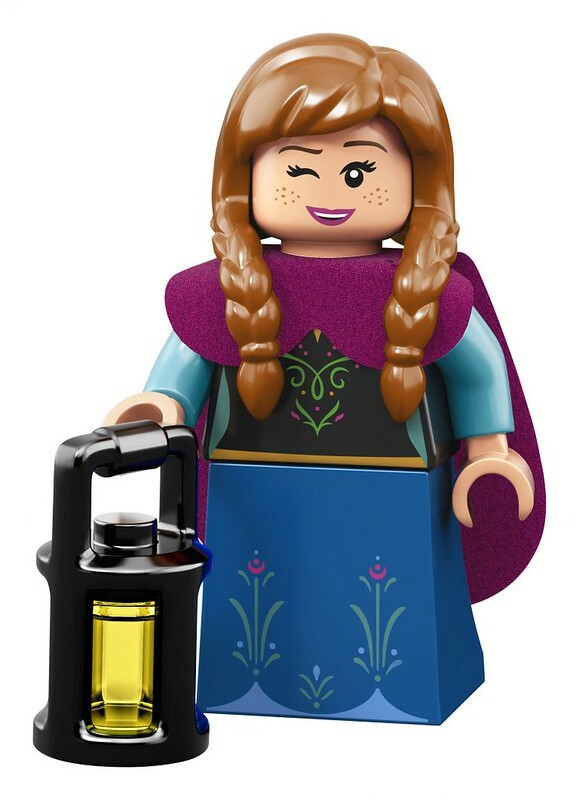 The LEGO Disney Series 2 minifigures were announced last week and I’ve done up a quick feel guide to help find the characters that you’re looking for. This has always been intended to aid those who are just trying to find the missing figures from their collection so if you do come across any extras, do share with your fellow AFOLs who are trying to complete their set! Mickey’s moulded head is quite easy to spot in the packet as it is round with his big ears. He also has a hat which should feel cylindrical in the packet. There is also the ship’s steering wheel which is pretty easy to spot. 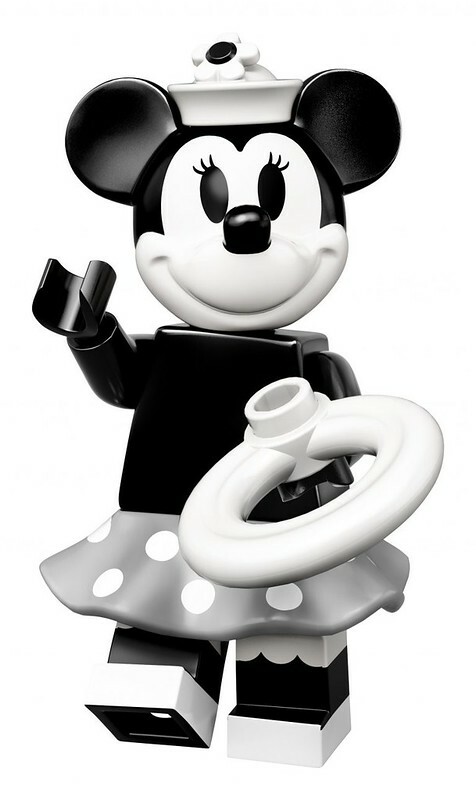 Minnie’s moulded head is the same as Mickey’s so do take note if you’re looking for one or the other. She also has a summer hat and the life preserver which should feel round and flat with a hole in the middle. Apart from his moulded head which should be easy to feel thanks to his beak, look for his top hat to confirm that it is him. If you need further identifiers, he also comes with a 1×1 round tile, a 3L Bar and a duck tail accessory as well. 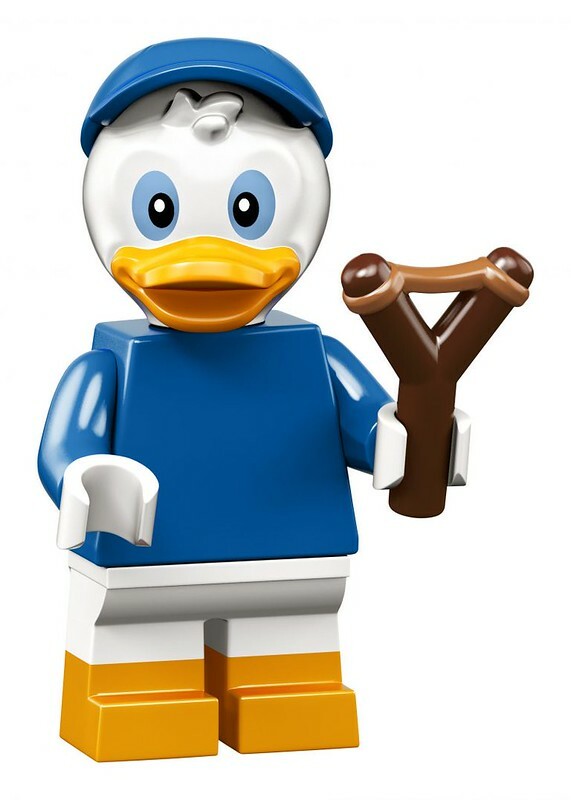 Huey is one of the three rare minifigures in this series so be prepared to hunt for him. His moulded head is the same as his brother’s so be careful if you are looking for him specifically. Look for the 1×2 tile and the book which is made up of two parts, a book cover and the book itself which has a raised edge on its side. His moulded head is the same as his brothers so look for his accessory which is the slingshot. It should feel like the letter “Y” in the packet. This is the same accessory as the one Bart Simpson had in the LEGO Simpsons Minifigure series. 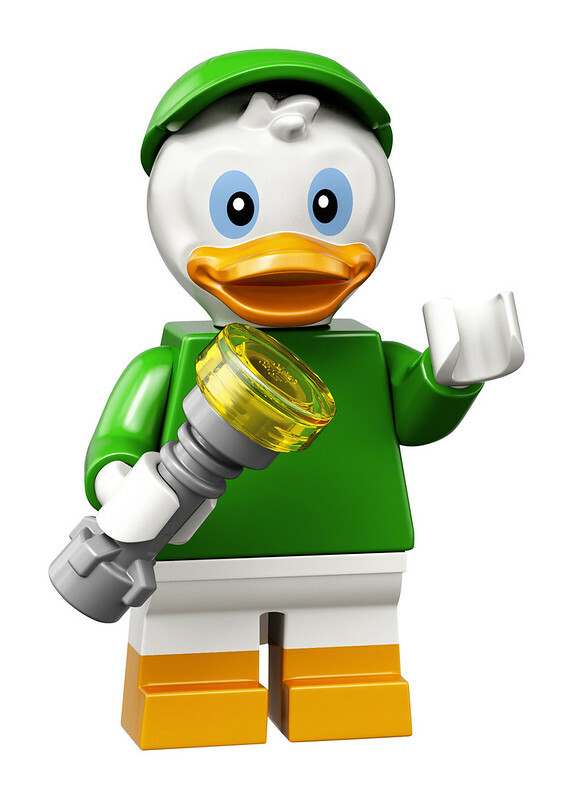 His defining accessory would be his flashlight which is made up of a lightsabre hilt and a 1×1 trans yellow round tile. Feel for those as his moulded head is the same as Dewey and Huey. He too has a moulded head which should feel smaller at the top and thicker at the bottom. He also carries a large sack, similar to the ones that Santa Claus carries so feel for that. He also has the short movable legs to help identify him. 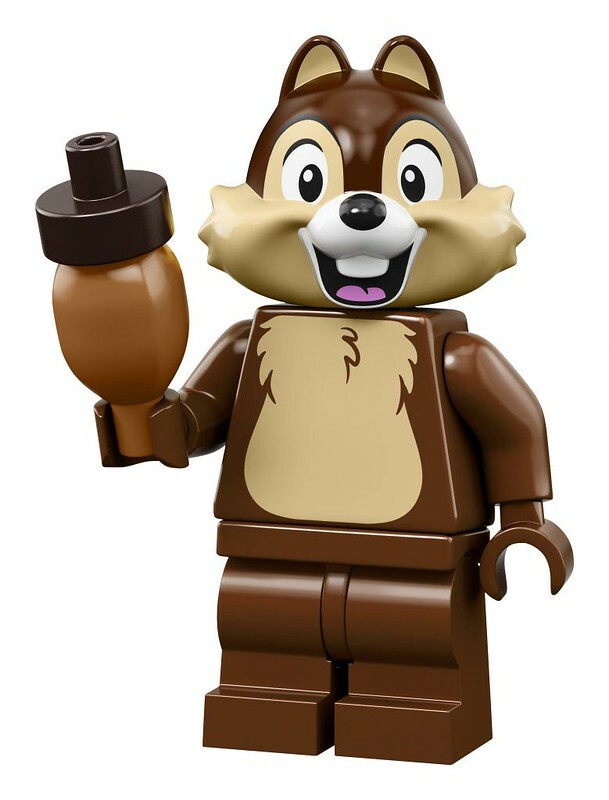 His moulded head is the same moulded head like Dale so search for his acorn accessory which is made up of a 1×1 round plate with pin at the top. The base of the acorn is the same as the element (37681pb01) used for Neville’s Mandroga plant in the Harry Potter minifigure series. He has one of the new ‘dress’ elements that has a curved slope on one side. Do note that there are a few characters here without leg assemblies. He also has a serpent staff which should feel long and hard. His headgear should feel bulbous in the packet. 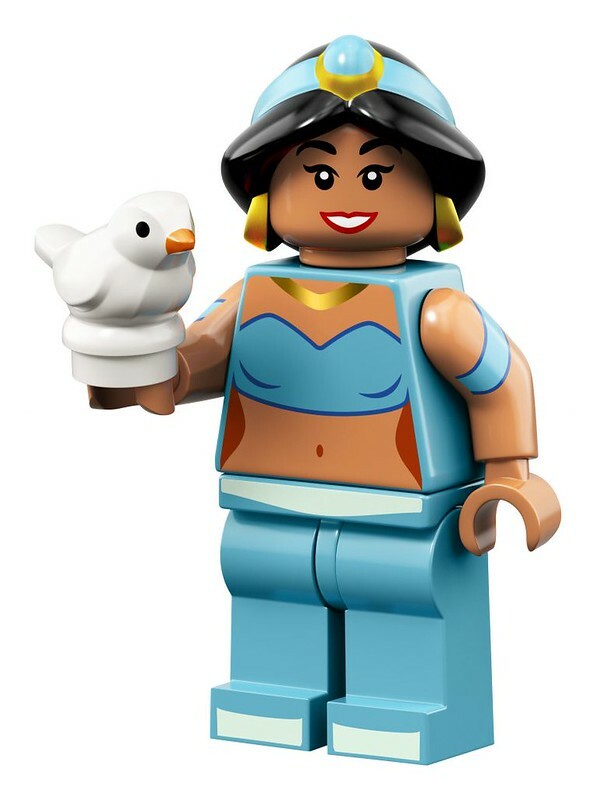 Her unique accessory would be the bird figure but I would suggest double checking with her hair piece to confirm that it’s her. Her hairpiece should feel smooth and round with a pony tail at the end. 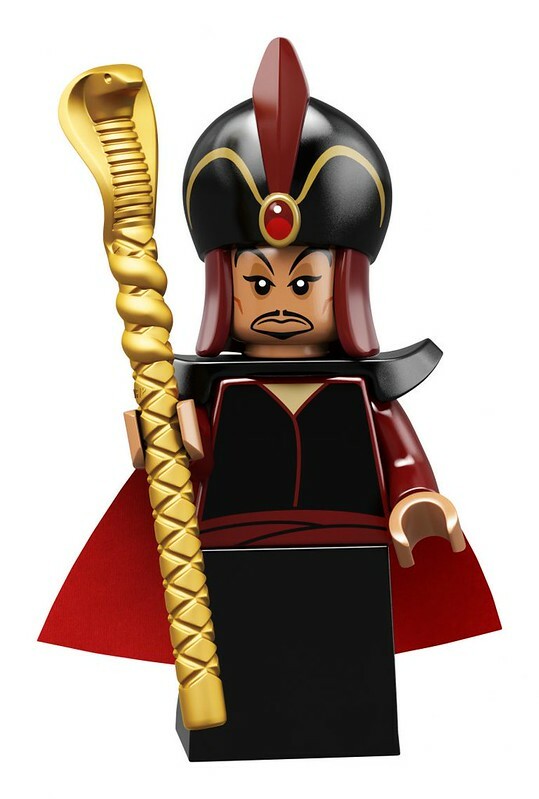 She also comes with a ‘dress’ assembly like Jafar and Elsa. Her lantern element should feel cylindrical with a handle on top. There is also a 1×1 round brick which should identify her. Her hair piece has two ponytails so search for that to confirm. 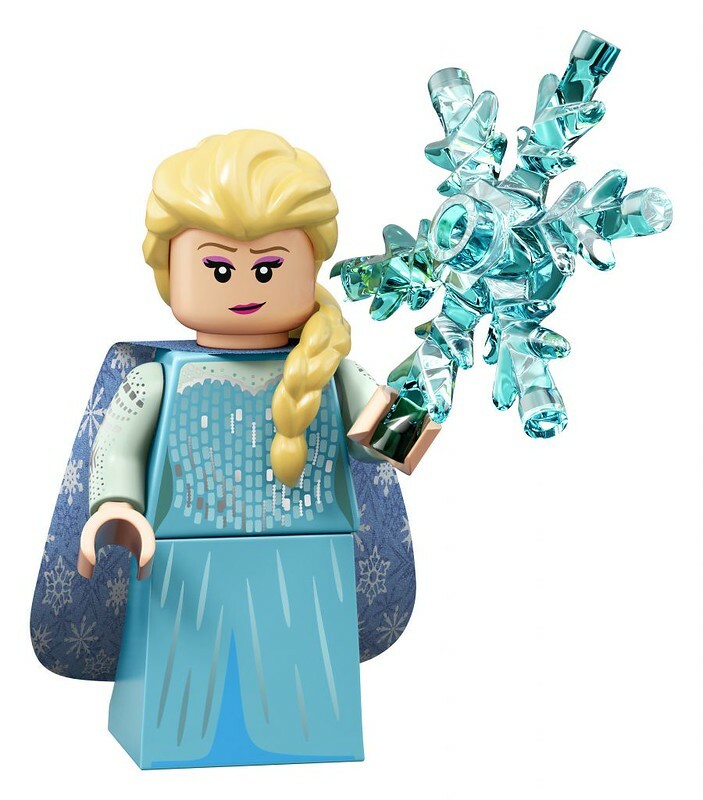 Her giant snowflake piece should be very easy to spot in the packet with the six prongs in a circular pattern. Her hair piece has a curved ponytail so try not to confuse her with Jasmine’s hairpiece. 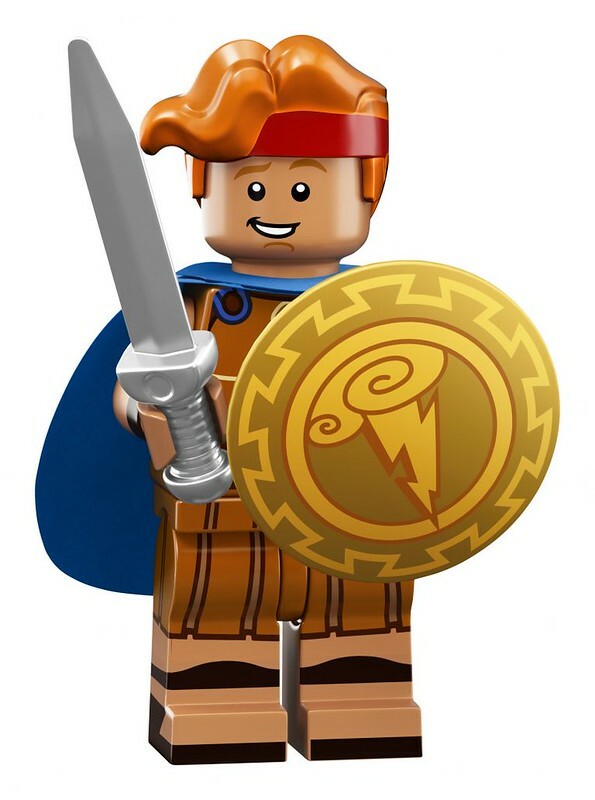 The centurion sword and shield should be easy to identify in the packet. His hairpiece is wavy which should feel a bit bumpy in the packet. He is another one with the ‘dress’ element so try not to confuse him with Anna or Elsa. His hairpiece should be very bumpy and pointy. There are two flame elements which should feel solid and flat. 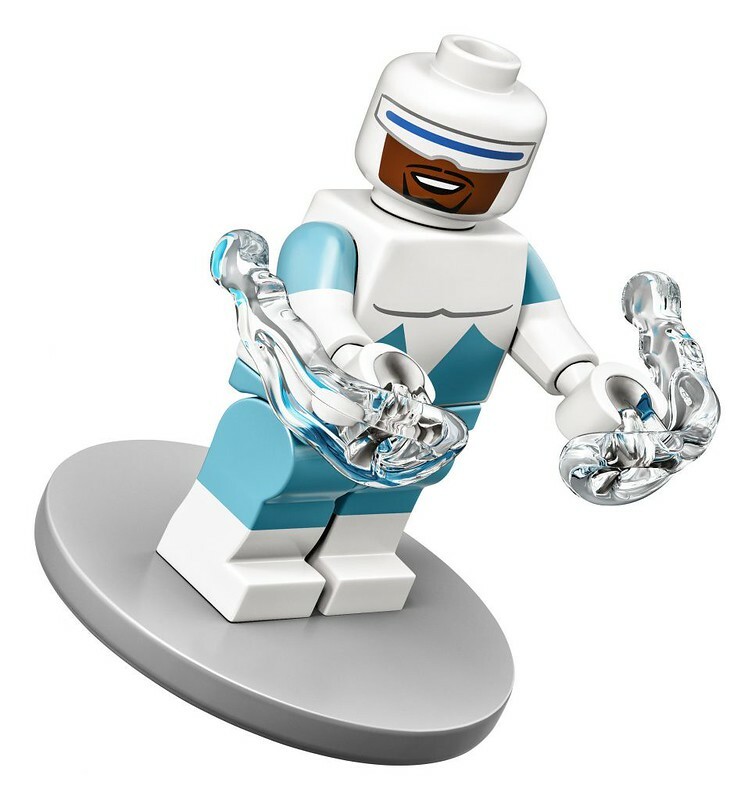 He doesn’t come with a hair piece so look for his two trans-clear power blast elements which should feel smooth but uneven. He also comes with a round disc which is a dead giveaway. 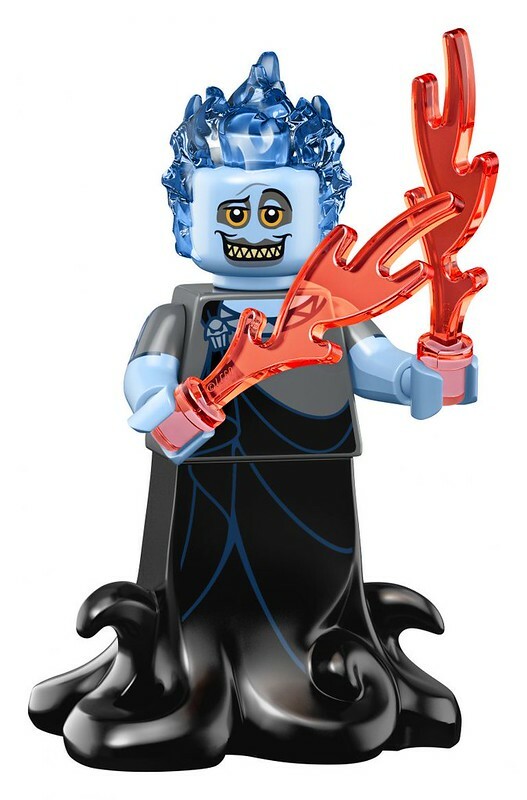 This is similar to the Polka Dot Man minifigure from the The Ultimate Batmobile (70917) set. The hairpiece should be round and smooth with the glasses attached to it. Her purse is made up of a 1×2 plate with handle and a 1×2 tile so look for that. 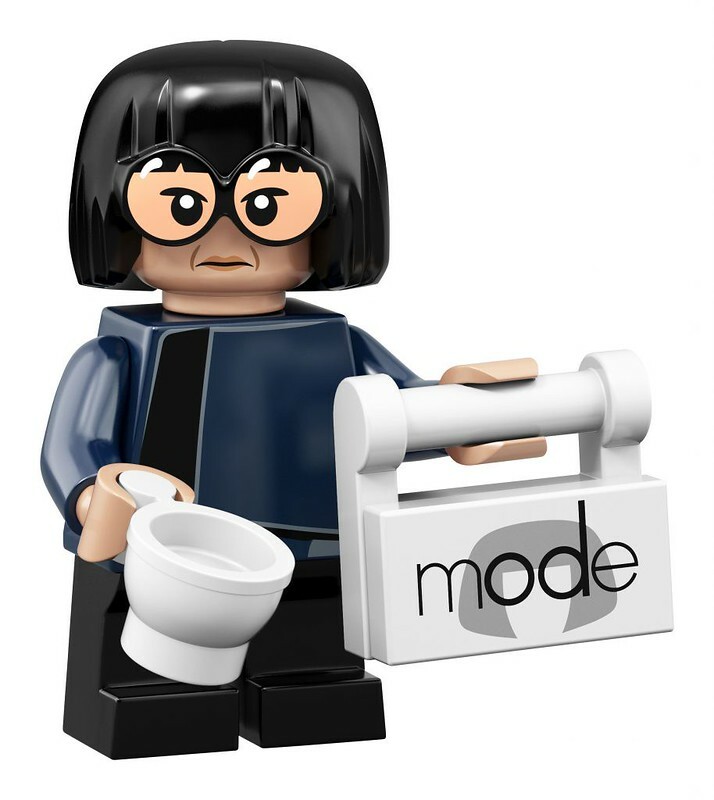 She also comes with a tiny tea cup like Sybil Trelawney in the LEGO Harry Potter minifigure series. 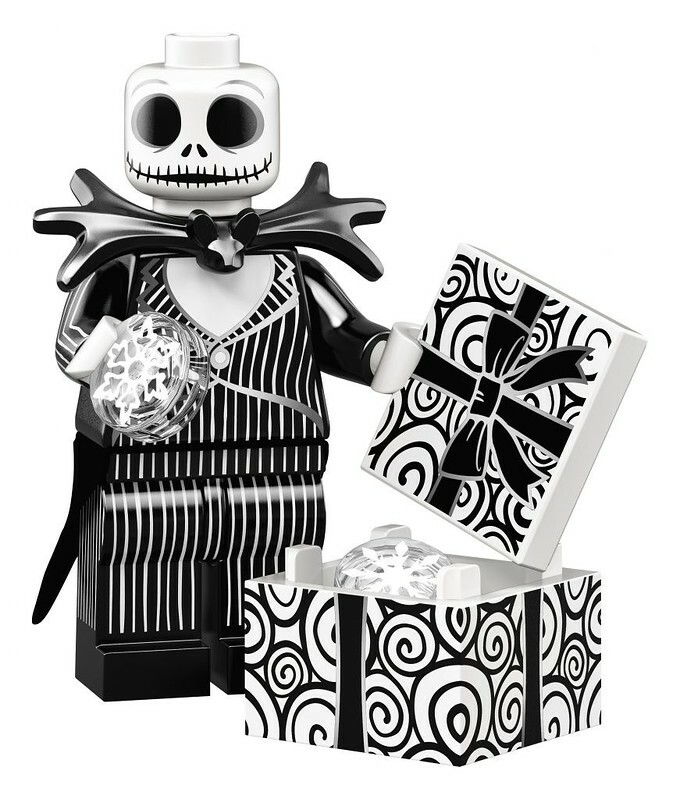 He has quite a few unique accessories one being the gift box which is made up of a 2×2 tile and the box base. He also comes with two 1×1 round snowflake tiles as well as a collar accessory which feels like small antlers. Her hair is the identifying feature with a smooth head and the long tresses. She also has the new plant element which should feel like a 3-pronged grappling hook inside the packet. I would caution from pressing too hard as you could damage the packaging (as I’ve seen on many occasions) but this series has a lot of characters with capes to tread lightly. 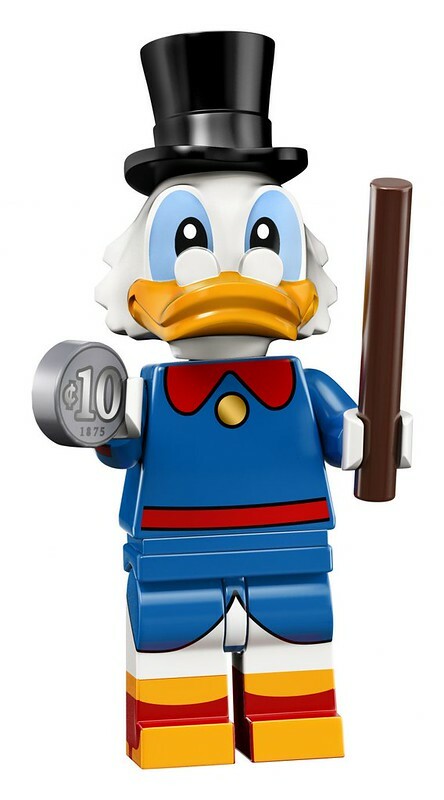 The LEGO Disney Series 2 Minifigures will be available on May 1st. Good hunting everyone! Soooo, just look at the picture and feel for the things we see, just like we’ve done the past 27 series… ok, got it! PreviousLEGO Captain Marvel Is Ready To Take On Thanos! 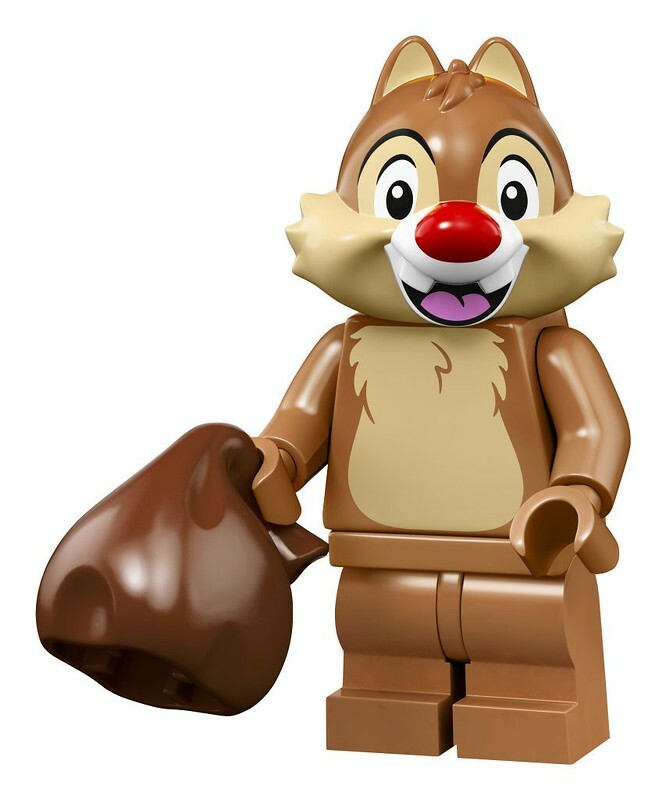 NextMore LEGO Toy Story 4 Sets Discovered!